Mr. Rudolph Jolly, age 79, a resident of Morton passed away on Friday, November 30, 2018 at St. Dominic Hospital in Jackson. 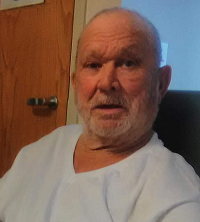 His visitation was held 6pm-8pm Sunday, December 2, 2018 at Ott & Lee Funeral Home in Morton and 10am-12pm Monday at the funeral home. Services were held 12:30pm Monday, December 3, 2018 at the Ott & Lee Chapel in Morton with burial in Parkway Baptist Cemetery in Morton. Bro. Billy Ray Parker and Bro. Bob Smith officiated the services. Arrangements were entrusted to the care of Ott & Lee Funeral Home in Morton. Mr. Jolly was born in Neshoba County on July 7, 1939. He loved to be outdoors fishing and enjoyed talking with everyone. Rudolph enjoyed riding around and taking his dog, Booboo for rides. He will be greatly missed by all who loved and knew him. He is preceded in death by his parents, James Floyd Jolly and Frances Mae Higginbottom; brothers, Lavon, Robert and Van Jolly; sisters, Carolyn Edwards and Mary Jolly. He is survived by his children, Tommy Jolly (Beth) of Brandon, Diane Perry of Morton, Bobby Jolly (Lisa) of Morton, Michael Jolly (Karen) of Pelahatchie, Tony Jolly (Michelle) of Brandon, Kathy Jolly Stanley (Michael) of Louisville and Robin Jolly (Ken) of Brandon; siblings, Bonnie Ross of Madison, Jeanette Thomas of Madison and Jessie Lee Jolly of Morton; 18 grandchildren; 26 great grandchildren, a host of nieces, nephews and friends. Pallbearers were Corey Jolly, James Jolly, Branden Jolly, Landon Jolly, Dusty Perry and Chelsey Matherne. Honorary pallbearer was Michael Stanley.